Endowment envelopes are available payable by check or case. No amount is too small or too large. Envelopes can be dropped in the collection basket at mass or at the church office. 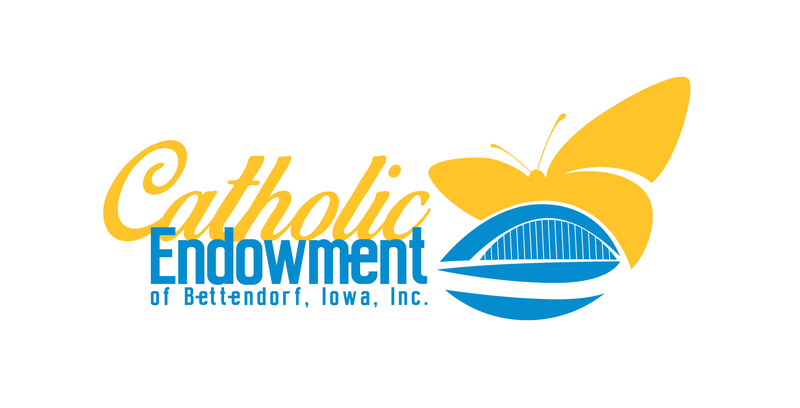 Catholic Endowment of Bettendorf Iowa, Inc.
Automatic withdrawals from your bank account or credit card can be set up through the church web site which is www.lourdescatholic.com. Check for the link “Vanco-online contributions” section and follow the in-structions after selecting the Catholic Endowment Fund. Investments such as stocks, bonds and mutual funds can be transferred to our endowment as the owner. Consult your tax advisor for potential tax benefits. Re-al estate can be donated by deeding the property to the endowment. Consult your attorney to ensure it is done properly. For those over 70 1/2 years, the required minimum distribution of your IRA, or other qualified retirement plan, can be satisfied by having the non-taxable in-come forwarded to the endowment. Any gift of $100,000 or more can go through a qualified community foundation, such as the Community Foundation of the Great River Bend, to receive an En-dow Iowa tax credit. If the current year tax pool is expended, credits can roll over to the next tax year. Name the endowment when making such a gift. For more information about the Community Foundation, please call them at 563-326-2840. They are located in Bettendorf at 852 Middle Road Suite 100 Betten-dorf, Iowa 52722.
beneficiary. You can purchase a new policy with just the endowment as the sole beneficiary. You can possibly name the endowment as a full or partial beneficiary in your IRAs, mutual funds, or other investments. With your current Last Will & Testament, you can have your attorney add a codicil, or amendment, to include the endowment as an additional beneficiary. It is recommended that all adults have a Last Will & Testament for the protection of their families and assets. Include the endowment as a beneficiary when you have your attorney draft the will. An Irrevocable trust can further protect your assets and save costs of probate with larger estates. A “pour over” will is used with the trust. Your attorney can assist you in properly drafting a trust with the endowment named as a beneficiary. All gifts are welcome. With future gifts, please notify the endowment so that we can keep our records accurate and up to date. This will also allow you to be gratefully recognized on our donor plaque.